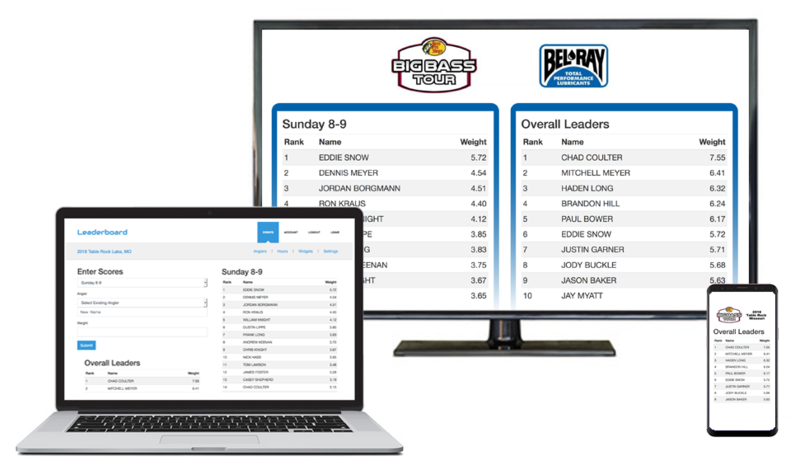 The best leaderboard and scoring application on the planet. Judged events, live events, employee competitions, etc. If you need a leaderboard with scoring and ranking, then you have found the right place. We have templates pre-setup for all the common sport needs: surfing, fishing, golf, gymnastics, etc. And if you have something new we can build out a new template to fit your exact needs. We all have something to make us one step better than the competition. We can tailor your leaderboard to fit the exact requirements of your event that make you unique. Put down your pen and paper. With our leaderboard app you just type in each score and the rest is magic. Our system can handle any scoring calculation you can dream up. For Example: Drop the high and low score each round, double the highest round score...DONE! Need independent judges scoring? Each judge can be logged in on a separate device and enter their scores without knowing other scores. The perfect way to ensure impartiality in your competition. Both our judging interface and scoring results are mobile ready. You can post scores from your smart-phone on a boat in the middle of a lake. Easily embed results into your event website or app with our copy and paste widgets. No programming knowledge is required. Don't see a match for you? Not to worry...we have so many settings we can make a leaderboard for any event or activity. Interested? There is no credit card required to sign-up!